Taken by experienced staff photographers at the start of your visit to SEA LIFE Melbourne, your photo pack will be ready and waiting for you to view at the end of your journey. Inside you will receive several formats of your photo, as well as online access to view and download your photos and create an story to share with all your friends! 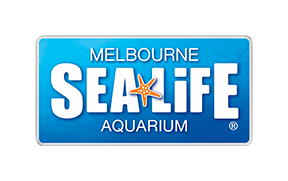 Don’t miss your opportunity to take home this fantastic SEA LIFE Melbourne memory!